We all know the yellow Digi man. He's pretty much a stalker isn't he? Follows you everywhere, appearing on your television and the radio every once in a while...and has even became synonymous with Digi itself. But that's a good thing. It's witty personality and its smart nature aptly defines what Digi is all about - smart, and bright. Digi very well understands what we as consumers want and tries its best to adhere to our demands - affordable prices, stable, high-speed broadband, a strong customer service experience, and of course, to offer the latest smartphones at the cheapest rate. 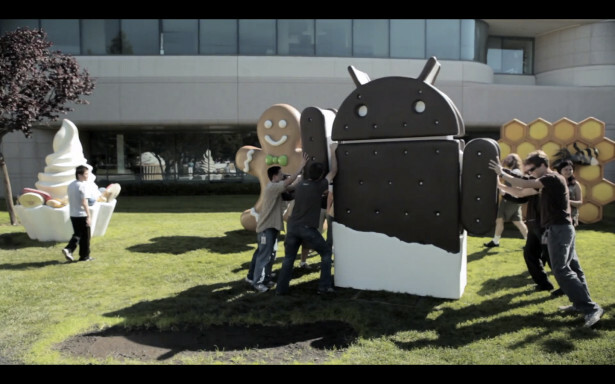 Google employees placing the Ice Cream Sandwich mascot in place in front of Google's hq. 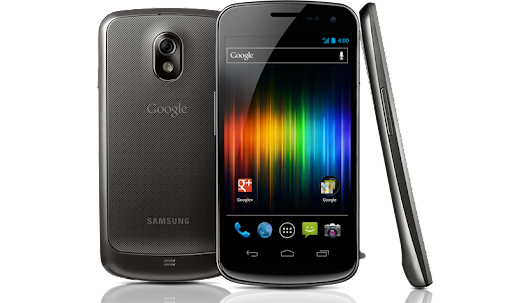 Recently, Google unveiled its Android 4.0 Ice Cream Sandwich update while Samsung Galaxy Nexus was the first, and up till now the only phone to be integrated with it. If you ask me, this update is extremely important for Android smartphones as the last I remembered was the mere 2.3 something Gingerbread - which is totally outdated among its rivals. I've been considering this phone for quite some time and I found Digi's plan pretty decent.The usual retail price should be around RM2,099 and with Digi, I would get RM100 off. It would only cost me 15 sens per minute for a call, which is comparably lower than most telco services. Also, it is less risky if I accidentally reached the maximum monthly quota as they will be no extra charges whatsoever. I don't really use THAT much of internet anyway but it's always better to be cautious, and I'm pretty sure Digi should be a smarter partner in lowering any extra, unnecessary costs. 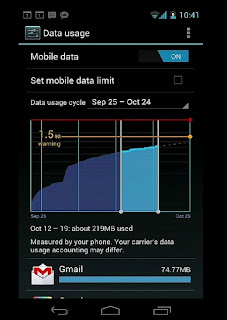 Talking about data usage, Galaxy Nexus have a feature to allow users to check its data usage, and even setting the maximum data limit! That will definitely come in handy. Adding on to that, the Samsung Galaxy boasts a full-featured photo editor straight from the camera app itself right after taking them - the edited photos will (fortunately) be saved as a copy so the original will always be available. Great feature if you ask me, especially since there's no "Instagram" for Android yet. Yet another interesting 'bonus' for the Ice Cream Sandwich update. It's pretty much a "fun" way of unlocking the phone instead of the traditional 'swiping' or 'dragging'. So basically, the phone registers your face with a "state-of-the-art facial recognition technology" and the next time you want to unlock your phone, simply put your face in front of the camera and...it's unlocked!